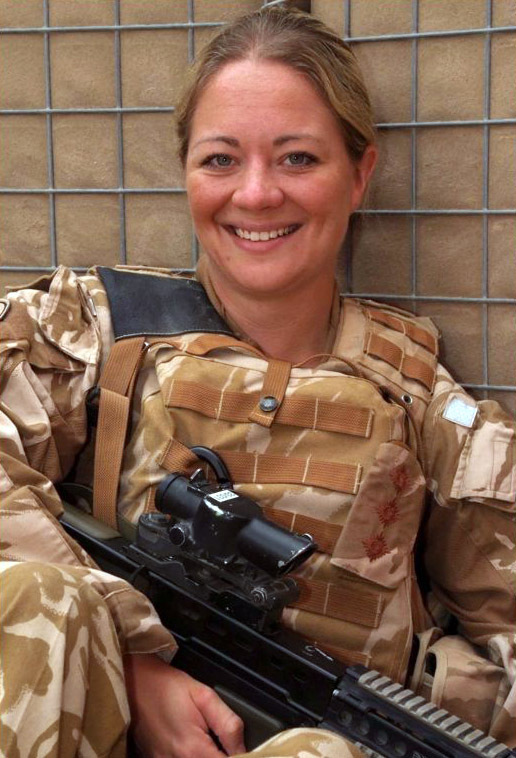 Captain Leanne Christmas of 21 Engineer Regiment (21 Engr Regt) writes about media operations for Task Force Helmand, Afghanistan. This week has been quite an emotional week and one full of changes. The Regiment lost two soldiers from two different squadrons in two separate accidents. For me personally, I have moved across to work out of the Media Operations Cell. So, whilst I am still the media ops officer for 7 HQ & Sp Squadron I am going to be better utilised by working with the Brigade. Less free time is good and bad. The days themselves go much quicker but I am studying for a Master whilst I am here which means doing this at night instead of chilling out for an hour. I have also visited Lashkar Gah, where the Brigade HQ is, for a UPO (Unit Press Officer) conference. It was great to see people that I haven’t seen since January when we all trained together and we had quite a laugh. Just getting out to see something other than the dusty building site that is Camp Bastion improves morale hugely. Not to mention that each time I get on a helicopter it is always something different. So far I have broadened my helicopter flying experience by flying in a Hercules, Chinook, Merlin and some American thing! Just a Lynx to go and I will be complete! Work back in the media cell has involved writing and editing articles, arranging interviews and being interviewed and writing the Regimental newsletter which goes back to the families and friends back home. I even interviewed a family of three who are all serving out here in Afghanistan. They are the Littmoden family – father, son and daughter-in-law. The nice thing about this week is that I have been working with a lot of different people and of all ranks. Sappers come and tell me about their week and have their photo taken for home town stories, Sergeant Majors are giving me knowledge on what is coming up and what needs to be covered and two Officers are putting me through my paces in the gym! Yesterday I went across to the camp where we have a troop of soldiers who are mentoring the ANA. They got on with the training with enthusiasm and dedication. Well, that was after they got over the amazement that there was a girl there! Last night we ventured over to the American camp to watch country and western singer, Toby Keith. The Americans loved him and I have to say that whilst not my cup of tea, it was great to get out, see something different and to hear some live music! All in all, quite an eventful week and hopefully more to come!